The families passion to deliver a world class luxury safari experience is equaled by their complete commitment in ensuring a pure balance between the preservation of this pristine “bushveld” (wilderness area), allowing access for guests to observe some of Africa’s greatest mammals in their natural habitat and ensuring the benefits are shared with local communities. Lion Sands is the only reserve in the Sabi Sand which employs a full time ecologist, who is responsible for ensuring the preservation of the land for another four generations to come. For those seeking a luxury vacation in Cape Town, consider the Cape Cadogan Boutique hotel as not only sophisticated and stylish accommodation, but a luxury vacation experience. The Cape Cadogan offers our guests highly personalized service in an elegant, sophisticated hotel combined with the Cape café vibe. For an unrivalled luxury vacation and luxury accommodation in South Africa, this boutique hotel is the answer for you. Do you need some Safari inspiration? – have a look at some of our recommended itineraries to the Kruger National Park. 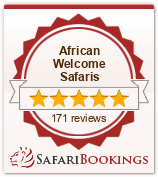 Let our Safari experts create your South African Holiday and Safari – contact us for expert advice!